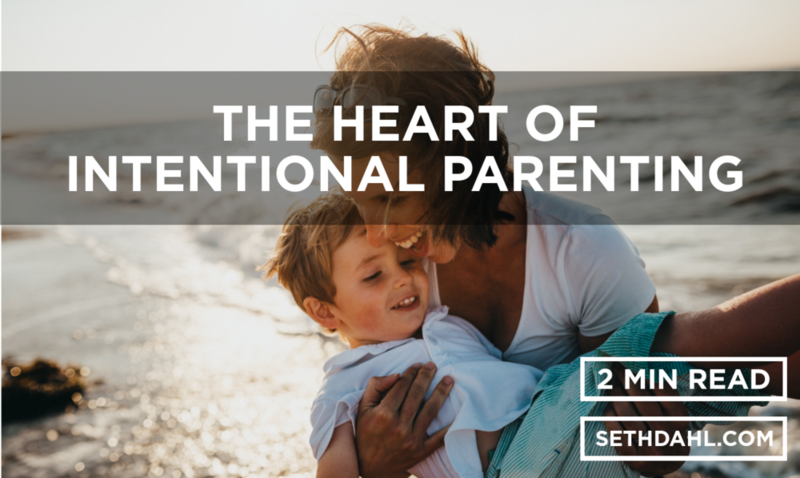 What does it mean to be intentional in our parenting? For us, as parents, we have the joy of watching our children grow up. We walk beside them through their entire lives and watch them grow from small babies into adults. This overarching view can help us keep things in perspective. We will get some of our parenting right, and we will mess up at times. It’s important to have grace for yourself in this process. We love our children, and we want to do what is best for them. When we do make mistakes, usually it doesn’t come from a place of purposely wanting to do things wrong. We want to do well at this, and we want our children to grow up and become thriving adults who contribute well to the world around them. Intentionally parenting our children takes time, thought, and effort. We are both continually evaluating how we are doing, how our children are doing, and overall how our home feels. We make adjustments and change when something feels out of whack or unbalanced. We are continually changing to create a home and family life which lines up with what we value. We intentionally choose the values we want to live from, and we want our children to grow up with. It doesn’t have to be overwhelming! We don’t spend hours every week discussing our parenting, but we do stay aware of how we are doing as a family. We like to say we have a low “parenting pain tolerance.” If something is off or someone is hurting, we immediately see what needs to be changed. Sometimes it is one of us or sometimes it is one of the children, but whomever it is or whatever is causing the home to feel unbalanced and less peaceful, we see what changes we can make. This helps keep us centered as a family and makes sure what we value is really shining through all of us. The small adjustments along the way make it manageable for us to maintain a peaceful home, and makes the adjustments easier to implement since we haven’t been in a bad rut for a long time. It does take being intentional and staying aware of how we are doing. Living this way has made us, as parents, very happy. We look forward to our time with our children with the same joy we had over them as newborns. It has also helped our children thrive. In every environment they enter, they do well. It’s amazing to see and hear how our children are navigating situations and how others experience them. We, the parents, are winning, and so are our children. What does intentional parenting look like in your home? Is there a particular area that comes to mind that you’d like to change?